Hey, hey, hey, Groove-ophiles! Today we're gonna catch the slightest glimpse of how Drax the Destroyer and Gamora, The Deadliest Woman in the Whole Galaxy came to be! 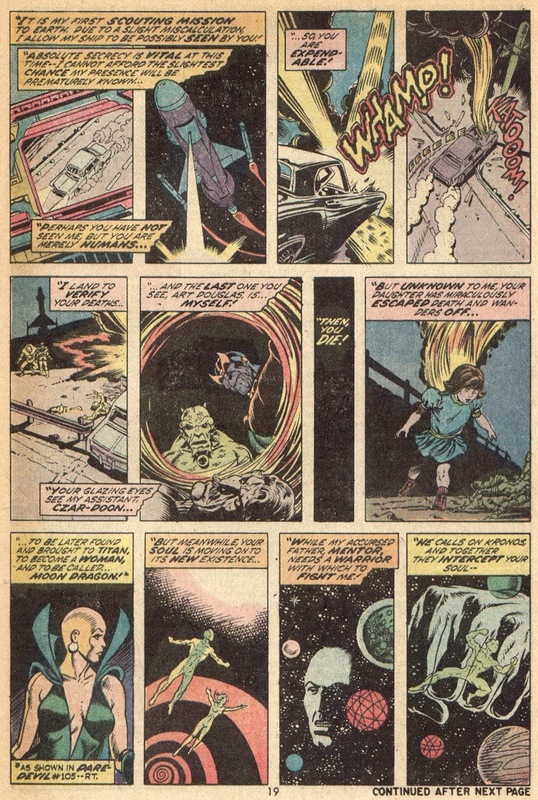 Yep, the jade-hued (but not related--except by their creator, Jim Starlin) foes-turned-allies of the Guardians of the Galaxy* both got their starts during the Groovy Age at the hands of Judo Jim Starlin! 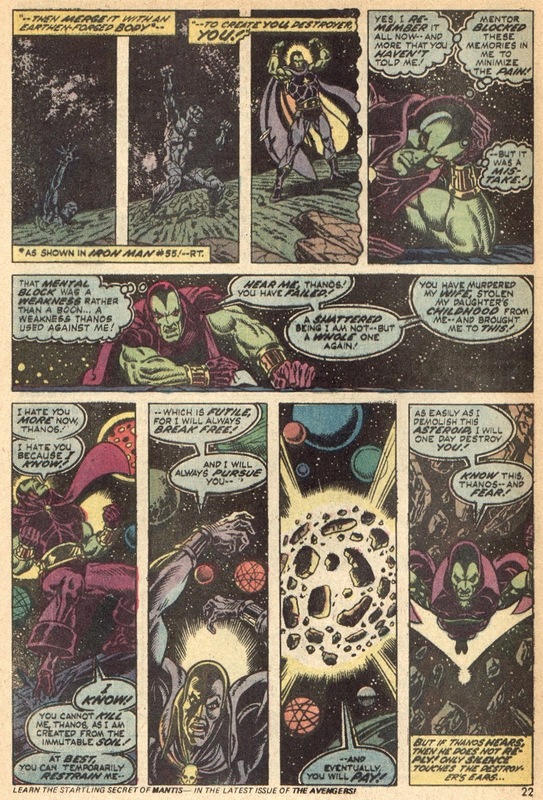 Drax the Destroyer made his debut in Iron Man #55 (November 1972). 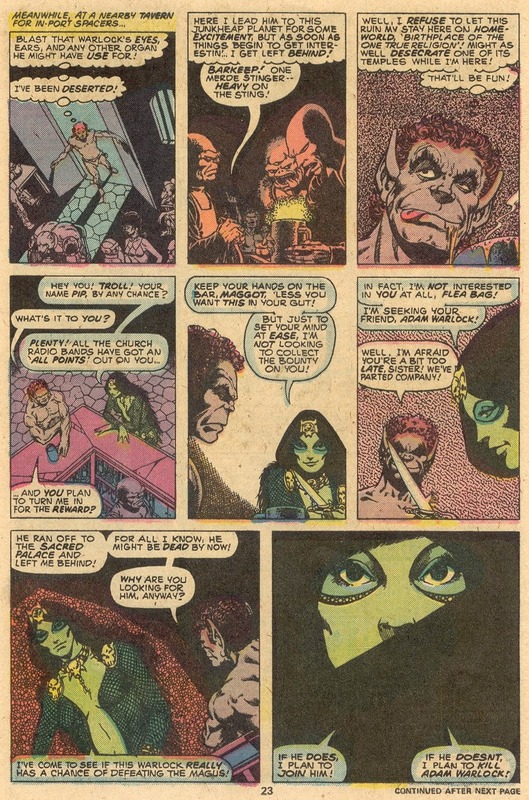 Mike Friedrich and Jim Starlin introduced and gave us Drax's origin in that fateful ish, but you've seen that one all over the Internet. 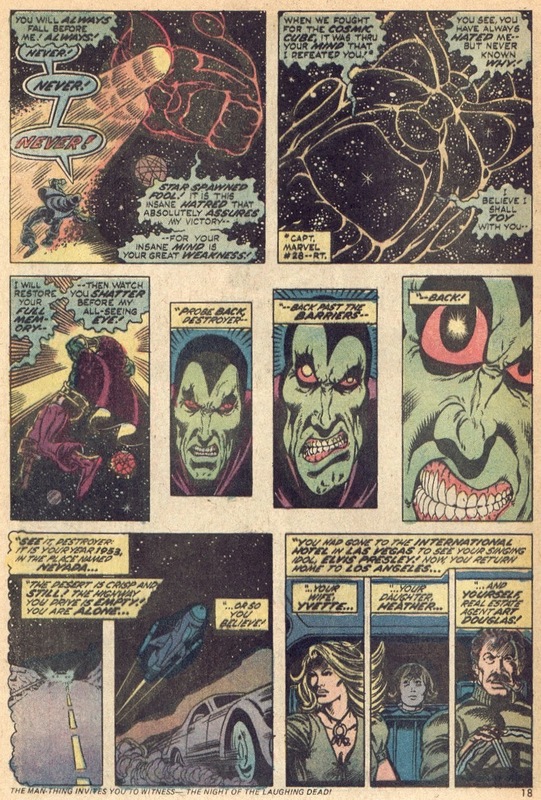 Here's Drax's origin retold from Captain Marvel #32 (February 1974), complete with an awesome (if one-sided) battle with the reason for Drax's existence...Thanos! You'll note the Groovy Age origin bears little resemblance to the movie version--but 'tis 'nuff, t'will serve. Very much in common with the movie version--just without the Warlock stuff. 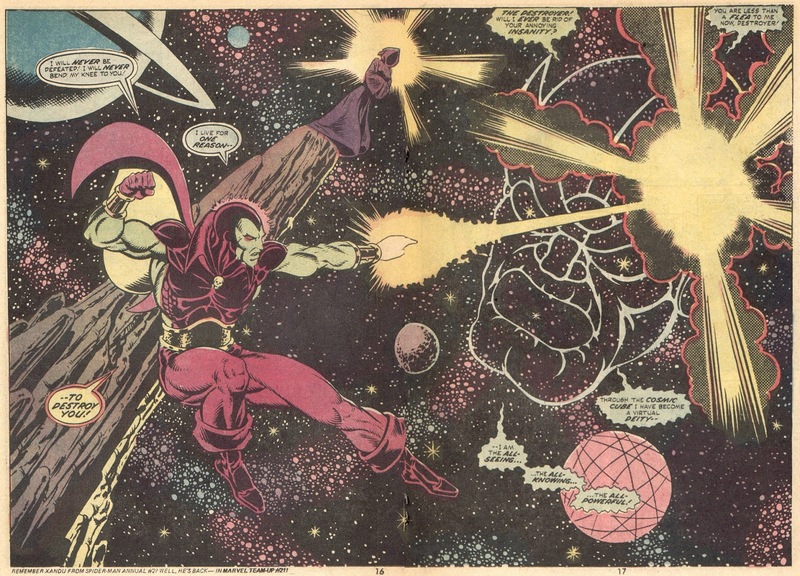 Here's hoping Marvel's Movie Universe will soon include Adam Warlock and our Kree Captain Marvel! Without 'em, we'd have fewer greens in our Guardians! Starlin's been getting some well-deserved respect around this neighborhood lately! When I was a kid, I thought I was the only guy that knew how cool his stuff was! I hope Marvel at least had the decency to give him a couple free movie tickets to GUARDIANS and maybe spring for some free popcorn. I didn't know that, about Starlin or Mantlo, but I'm glad to hear it. 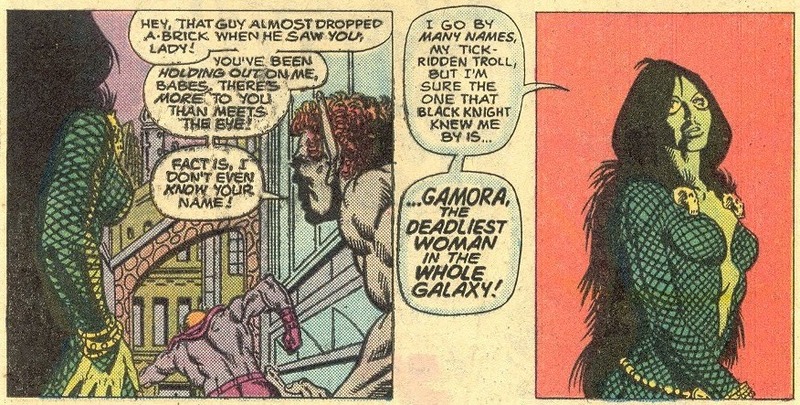 Especially about Bill Mantlo. That's good news. I'm glad Marvel is trying to do right by them. I'm interested in what 'ol Judo Jim has to say about all this! I'll have to check that out! 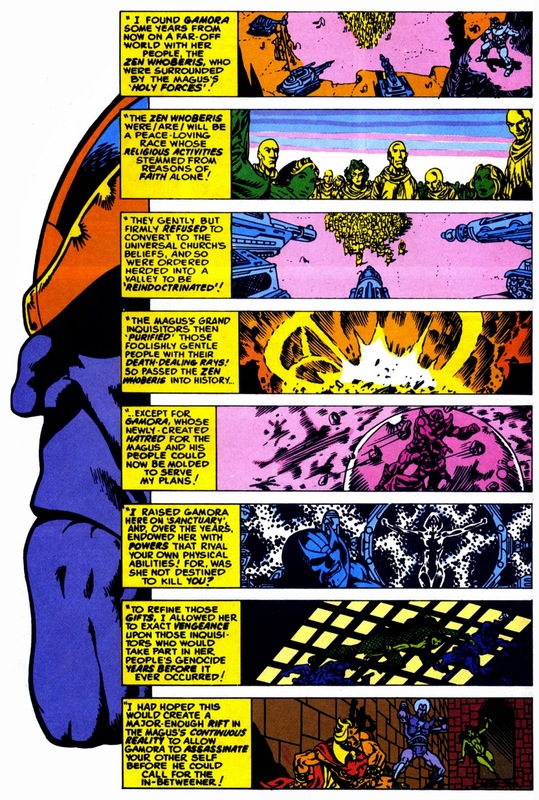 I'd like to see Drax get his cosmic level powers back. 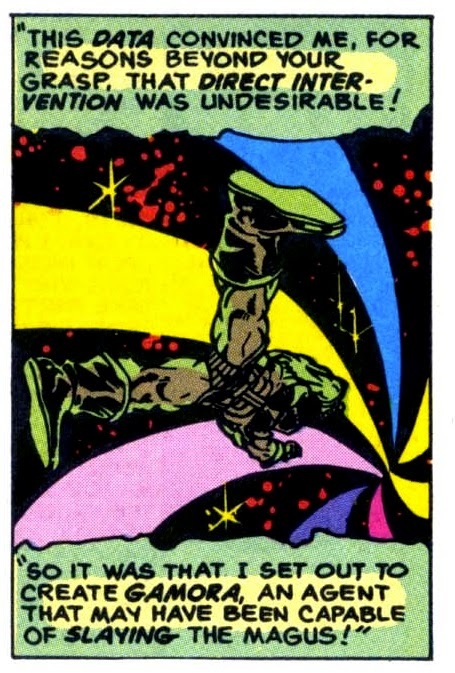 There's a little too much overlap in thematic weaponry and power set between him and Gamora right now.